In this centos training course, you will learn all of the basics of web server administration, and gain expertise in fixing Linux server OS and LAMP stack. Every chapter is packed with step-by-step guides and the correct Linux commands which can place your new learned abilities into practical use quickly. You will begin with selecting the correct platform for your server. Then you may install CentOS Linux to the server and discovered the LAMP stack. After that, you may configure various Apache virtual hosts or Nginx server blocks, make your first Maria DB user and database, , lastly, you will install Word Press to your new server. We will likewise experience essential security changes for your server. Plus, we'll configure the fundamental FTP server, firewall and Rsync backups / synchronization. Students finishing this course will have the learning and abilities to set up and administrate their own server. 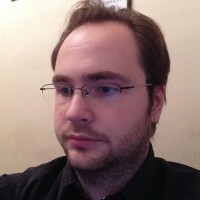 My name is Aleksey Grebeshkov (Ph.D.), I'm entrepreneur and also author, associate professor and researcher at the Kyiv National Economic University (Kyiv City, Ukraine). My areas of interest include information management, project management, innovation management, information technologies in business and education, and information security. I'm also CEO at Global Digital Services (Ukrainian web developer, IT consulting and IT services provider company) and CTO of Kyiv City Private Schools Association (Ukraine). I have also worked on online projects for individuals and small to medium sized businesses.